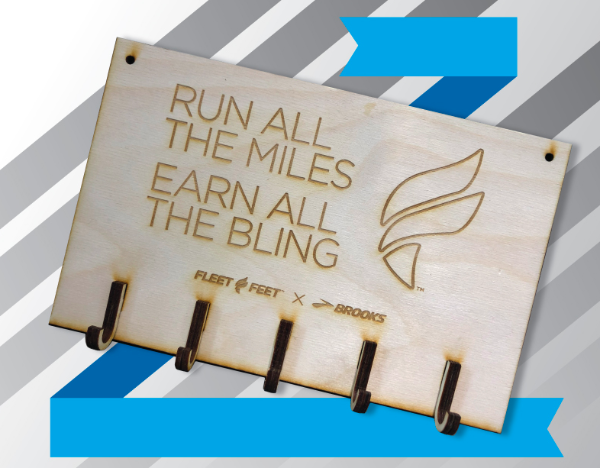 receive this awesome medal holder for FREE! Fleet Feet Running Club's 5k Finish focuses on those who have not been running recently, but all levels of walkers and runners are welcome. The program is structured to help you cross the finish line of your first race in just 12 weeks! It can also help existing runners meet new performance goals. Along the way we’ll provide you with motivation to keep you moving, guidance and advice, weekly group training runs or walks, and educational clinics on topics such as proper nutrition, choosing the right gear, and avoiding injury. Plus, you’ll have the camaraderie of others just like you! Our 5K Fast program is there for those who want to run a faster and stronger 5k! This program focuses on PRs (personal records!) and breaking barriers in training. While both programs meet at the same time, the different groups will work on different exercises in the same location. The program meets up twice a week during the training period, Wednesday nights at 6:00pm and Saturday mornings at 9am. The workouts will last about an hour to an hour and a half as we increase mileage throughout the season. The program cost is $110. This includes your training and discounted race entry all-in-one! The Training will begin on 4/10 and will finish on race day June 1st. 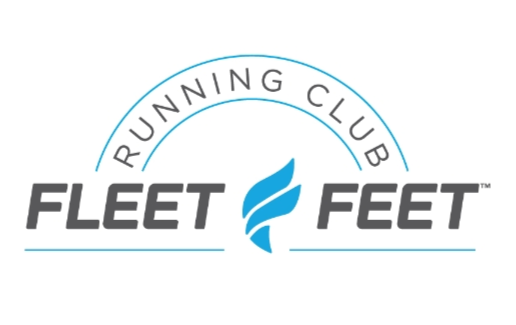 The Fleet Feet Running Club 10k Fast & Finish Training Programs are for intermediate level runners who have completed a 5K before and who want to train for a 10k event. The program is structured to help you cross the 10K finish line after just 12 weeks. Our 10K Finish training is perfect for No Boundaries 5K training alumni who are looking to take the next step in their training. It is also geared to accommodate runners with 5K experience who are looking to increase their distance. Our 10K Fast program is perfect for someone looking to improve their time in a 10K race, or who wants to be faster and stronger at that distance. Along the way we’ll provide you with motivation to keep you moving, guidance and advice, weekly group training runs, and educational clinics on topics such as proper nutrition, choosing the right gear, and avoiding injury. Plus you’ll have the camaraderie of others training with you! The program meets up twice a week during the training period, Monday nights at 6:00pm and Saturday mornings at 9:00am. The workouts will last about an hour to an hour and a half as we increase mileage throughout the season. Fleet Feet Running Club's 13.1:FINISH and 13.1:FAST programs are the premier distance training programs in the Michiana region. By partnering with local health professionals, product vendors, and Fleet Feet Sports Ambassadors, our training groups provide an unparalleled training experience. Whether you’re a seasoned half- marathoner or looking to do your first race ever, this group is designed to help you conquer your goals and reach the next level. We will meet every Tuesday at 6:30pm, Wednesday at 6:30pm and Sunday at 8:00am. This group is open to runners and walkers of all paces. We will be training for the Sunburst Half Marathon with built in adjustments if you’re training for other spring races occur in May and June. The program cost is $175. This includes your training and discounted race entry all-in-one! The Training will begin on 3/12 and will finish on race day June 1st.